Yes, I know I have difficulty being "wordless"! And today's post is even more "wordy" than usual! But if you're interested in wildlife conservation, you might find these words of interest! We visited the Old Hegg Turtle Sanctuary while we were staying with friends on the beautiful Caribbean island of Bequia last week. Located on Park Bay, the Sanctuary was founded in 1995 by Orton "Brother" King, a retired diver who became concerned that catching & poaching Hawksbill turtles for food, and development of their nesting beaches around the St Vincent and Grenadine islands, was driving them to extinction. 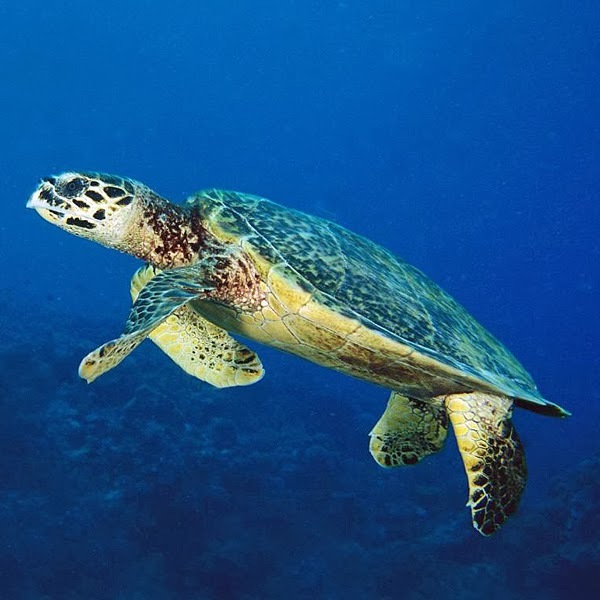 Since then, Mr King dedicated his life to saving this critically endangered species, raising baby Hawksbill turtles from eggs, feeding the hatchlings on tuna fish and then nurturing them through the critical first year of their lives - only around 5-10% of his hatchlings survive. When the turtles are around 5 years old their shells have fully hardened, so they no longer need to feed exclusively at the surface. This means they are less vulnerable to predators and as a result their chances of survival are dramatically increased. At this point the sanctuary mark their shells to identify them as having been bred at Old Hegg, and they are returned safely into the sea where the eggs were originally laid. There are usually around 200 turtles of various ages and sizes kept in large pools and tanks at Old Hegg. They are inquisitive creatures, each one being very different both in colour and in personality! The oldest turtle there is Old Hegg, a permanent resident who has his own pool as he can be a little aggressive to the other turtles. When we visited the turtles ranged in size from hatchlings so small they could sit in the palm of your hand, to several very large turtles ready to be released. Turtles reach reproductive maturity at around 25 yrs of age, and are capable of living to 200 years or more. To date, Mr King has succeeding in raising and releasing over 900 turtles to their natural environment. His Old Hegg Turtle Sanctuary receives no official or government money or sponsorship whatsoever, so it relies solely on donations and by charging a modest entrance fee. Wordless Wednesday is a fun way to meet new bloggers. Just post a photo on your blog (words are optional, though I'm not too good at silence!) then add a link to your post in the Linky below. You can link up with other WW participants this week by clicking on one or more of the thumbnails and, in case you've missed any, click here to see some of my previous WW posts. If you have time please leave a comment as I love to hear from you. Have a Happy Wordless Wednesday!